The cost of pets…Are you patting YOUR DEPOSIT? If you are one of the 3 in 5 Australian households who owns a pet you probably won’t be surprised to know Aussies spent $12.2 billion dollars on pet products in 2016. That’s a lot of money that could be used elsewhere. So how do we manage the cost of owning our furry friends? In a digital world rife with bullying it’s good to hear pets have a positive effect on kids and teens. Pet owners generally report less depression and appear to cope with grief, stress and loss better than those who don’t own pets. The role of pets in the lives of the elderly has been proven to have a positive effect for those in nursing homes or assisted care. Before embarking on pet ownership it’s important to factor the cost into your household budget. Many of us may have been caught off guard when that cute puppy or kitten translated into many hundreds of dollars in food, care and vet bills each year. Perhaps even new fencing? One client recently took her cat to the vet and ended up with a $1,000 bill. Ouch! Research shows the average cost of owning a pet is $1,475 pa per dog and $1,029 pa per cat – not including unexpected costs. The cheapest pet? 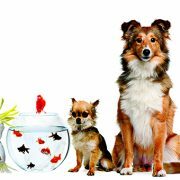 A goldfish comes in at around $50 pa.
Based on these figures a household with a dog and a cat could spend $25,000+ over their lifespan! Depending on the breed or source of your pet your initial purchase cost alone could be between $200 and $3,500+. The average ongoing costs per annum per dog are: food ($622), vet care ($397), health products ($248), grooming ($129) and boarding ($86)1. Estimating your costs, allocating these in your budget and exploring where you can save on other expenses to compensate for your furry friend will help ensure your beloved pet does not result in a cost blowout. As medical technology and level of veterinary care advance, so too has the cost of treatments. Sadly, an unexpected illness or injury could result in the heartbreaking decision to have a pet euthanised if the cost of treatment is simply unaffordable. Pet insurance is a growing industry with a number of providers. In 2016 about 25% of dog owners and 20% of cat owners had pet insurance at an average annual cost less than $3001. As with all insurances it pays to do your research and know the terms and conditions of the policy. It is not always available for older pets and may not cover routine visits such as vaccinations, dental and desexing. Premiums could also be higher for certain breeds. Need help with your family budget? We’re always here to assist. Being prepared for the cost of owning our beloved pets will ensure we enjoy them for many years. http://www.indigofinance.com.au/wp-content/uploads/2018/03/IF-Article-Pets.jpg 340 600 IndigoFinance http://www.indigofinance.com.au/wp-content/uploads/2017/01/indigo-finance-logo.png IndigoFinance2018-04-18 21:38:142018-04-18 21:38:14The cost of pets...Are you patting YOUR DEPOSIT? Are you a successful saver? Try our six savings tips! 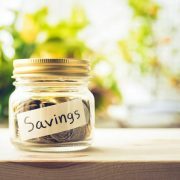 Research shows about 57% of Australian adults are savers although only 16% of those manage to save quite easily. When many of us feel burdened by the mere cost of ‘living’ it is often difficult to establish a savings plan. However, creating a savings habit can play an important role in our ultimate financial future. So what are some of the key tips for becoming a successful saver? We often convince ourselves to spend money on things we simply don’t need. Becoming a good saver is a game of psychology – it requires awareness of the unconscious triggers that prevent us from keeping our money in the bank. Creating certain habits can help combat the impulsive and seemingly innocuous behaviors that cause us to overspend. 1. Aim to be above average! Firstly you need a savings goal! What are you saving for? Having a specific goal helps you stay more focused on the path to getting there. Research shows the average Australian saves $427 per month with the national average about 12% of disposable income. If you’re not already doing so think about how you could live with $400-$500 less per month to become at least the average? Creating a budget and deciding how much needs to be allocated to savings can change the way you view the money you have available to spend. When you evaluate how much money you have ALLOWED yourself to spend on items you treated nonchalantly you’ll possibly reconsider a lot of purchases you previously thought were necessary. Find ways to automate as many transactions as possible including direct deposits, automatic transfers from one account to another and automatic bill pay. By creating automatic transactions you relieve the burden of making sure regular payments happen each month and you’re less likely to break the saving habits you created when you formulated your budget. Decide some savings goals that are both short and long term. Without goals it becomes easier to lose interest and fall back into bad spending habits. Like most tasks, the immediate excitement of starting a new project can quickly become mundane without motivation. Keep yourself inspired with smaller milestone goals so you can celebrate with a small reward as you tick off each one. Seeing your savings grow can often lead to more happiness. Believe it or not, many people find as much pleasure from saving as spending money! It can dramatically change the way you perceive your finances. However, when you’re saving and money is tight it CAN lead to frustration when you see an item you’d really love. You may find yourself questioning the value of saving when an item that will ‘make you happy’ is right there! Avoid viewing your inability to purchase a flashy new item as a loss. Do you REALLY need it or is your money better off in the bank? Always prepare a shopping list and STICK TO IT. You might do this for groceries but you should apply the same principle to every shopping outing. Most shop layouts are created to maximise impulse buying. Creating a list of the items you need avoids the aimless wandering that may see you purchasing unnecessarily. Try to use cash and NOT credit cards. It is well documented that we tend to spend less when we have to hand over cash instead of swiping a card. When we calculate how much we have to spend beforehand we are more likely to stick to our limit. Developing achievable saving and spending habits will see you more ready to combat almost any impulse spending you may have. Those who have been around a while will tell you… ultimately, immediate gratification is never as satisfying as the longer term realisation of your goals. If you know people in your life who you would like to encourage to save more, feel free to contact the office for a copy of this article for you to send to them. Good luck with your savings goals this year. http://www.indigofinance.com.au/wp-content/uploads/2018/03/IF-5-04-18.jpg 550 820 IndigoFinance http://www.indigofinance.com.au/wp-content/uploads/2017/01/indigo-finance-logo.png IndigoFinance2018-04-04 21:14:282018-04-04 21:14:28Are you a successful saver?